MDM-Mini Dream Maker-Easter Championship is coming right up! Dream Maker is the official event title for all creation events host by MWBA. 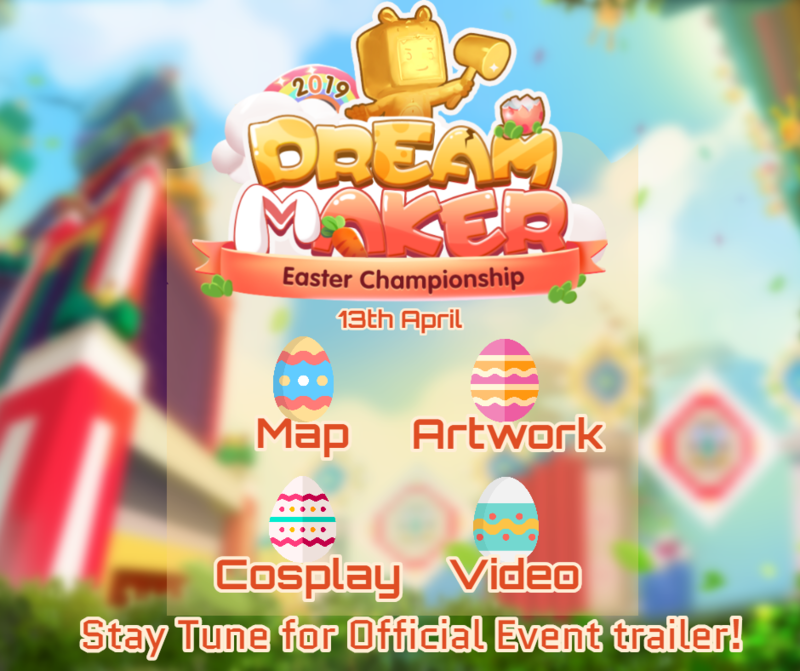 All themed events will host as event series under Dream Maker, including map, artwork and etc.It is served as a regular platform for all players to join, to show your unique creativity, talent and skill, and win amazing rewards! On 13th of April, Easter Championship will launch with 4 championships: Maps, Artworks, Videos, and Cosplay! Submits that contain any Easter elements will be considered qualified! Be ready and prepare for this event and win amazing gifts! Stay tuned for more event information and official event trailer!